The Elephant in the Room: Og, Gog, Magog and………OIL??? Tension Amongst the Kings of the East?? 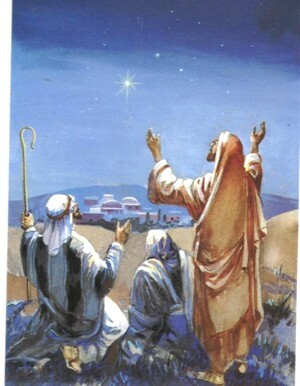 Luke 2:8-18—And there were in the same country shepherds abiding in the field, keeping watch over their flock by night. 9 And, lo, the angel of the Lord came upon them, and the glory of the Lord shone round about them: and they were sore afraid. 10 And the angel said unto them, Fear not: for, behold, I bring you good tidings of great joy, which shall be to all people. 11 For unto you is born this day in the city of David a Saviour, which is Christ the Lord. 12 And this shall be a sign unto you; Ye shall find the babe wrapped in swaddling clothes, lying in a manger. 13 And suddenly there was with the angel a multitude of the heavenly host praising God, and saying, 14 Glory to God in the highest, and on earth peace, good will toward men. 15 And it came to pass, as the angels were gone away from them into heaven, the shepherds said one to another, Let us now go even unto Bethlehem, and see this thing which is come to pass, which the Lord hath made known unto us. 16 And they came with haste, and found Mary, and Joseph, and the babe lying in a manger. 17 And when they had seen it, they made known abroad the saying which was told them concerning this child. 18 And all they that heard it wondered at those things which were told them by the shepherds. 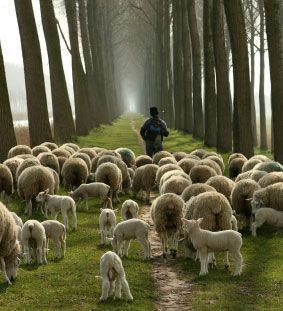 Proverbs 27:23 Be thou diligent to know the state of thy flocks, and look well to thy herds. Acts 20:28—Take heed therefore unto yourselves, and to all the flock, over the which the Holy Ghost hath made you overseers, to feed the church of God, which he hath purchased with his own blood. Acts 20:28-31a—Take heed therefore unto yourselves, and to all the flock, over the which the Holy Ghost hath made you overseers, to feed the church of God, which he hath purchased with his own blood. 29 For I know this, that after my departing shall grievous wolves enter in among you, not sparing the flock. 30 Also of your own selves shall men arise, speaking perverse things, to draw away disciples after them. 31 Therefore watch, and remember, that by the space of three years I ceased not to warn every one night and day with tears. II Timothy 3—This know also, that in the last days perilous times shall come. 2 For men shall be lovers of their own selves, covetous, boasters, proud, blasphemers, disobedient to parents, unthankful, unholy, 3 Without natural affection, trucebreakers, false accusers, incontinent, fierce, despisers of those that are good, 4 Traitors, heady, highminded, lovers of pleasures more than lovers of God; 5 Having a form of godliness, but denying the power thereof: from such turn away. 6 For of this sort are they which creep into houses, and lead captive silly women laden with sins, led away with divers lusts, 7 Ever learning, and never able to come to the knowledge of the truth. 8 Now as Jannes and Jambres withstood Moses, so do these also resist the truth: men of corrupt minds, reprobate concerning the faith. 9 But they shall proceed no further: for their folly shall be manifest unto all men, as their’s also was. I am of the conviction that apart from the many prophecies being fulfilled as harbingers to the advent of Ant-Christ, one of the most profound indicators is the false teaching that is being propagated as truth in may of our pulpits today. Yet despite this, God has raised true messengers of His Word. Hebrews 13:17–Obey them that have the rule over you, and submit yourselves: for they watch for your souls, as they that must give account, that they may do it with joy, and not with grief: for that is unprofitable for you. 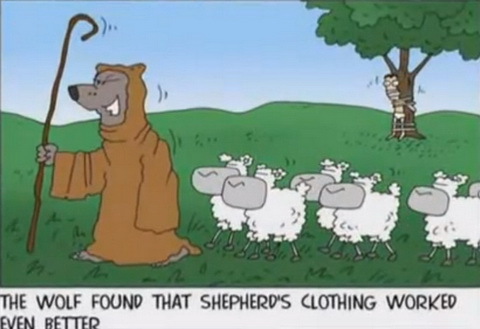 Once again, there will be those faithful shepherds who watch over their flock no matter how dark it gets. It’s a dark place and it’s getting darker, but there are true shepherds. That is the kind of Jew who was ready for Jesus to come the first time, and that is the kind of Christian who will be ready for Him to return. Who is not going to be ready? “Herod mourned, and all Jerusalem with him.” The Sanhedrin were troubled. The theologians were pulling their hair out. They won’t be ready – people like that rarely are. In contrast, the individual clergy like Zacharias and his faithful wife, or Joseph the adoptive father of Jesus – a man who was just, or a teenage girl who said, “I am in need a Savior”, or the shepherds who faithfully watched their flocks, or an elderly woman whose whole life was spent in prayer and serving God and telling others about Jesus, or an elderly man who longed for the Messiah to come and was filled with the Spirit of God – they tell a different story. They were the kinds of Jews, who were ready for Him to come the first time, and I assure you, they will be the kinds of Christians who are ready for Him to come the second time. As I bring this series to a close, my prayer for all of you, for your families, for myself and for my family, when I look at these Jews who were ready for His first coming, is that by the grace of the God of Israel we will be among the faithful who will be ready the second time. My dear brother and sisters in Christ, I urge you to take heed……It’s beginning to look a lot like Christmas. What about those who say, don’t worry about His coming? Acts 1:6-7 When they therefore were come together, they asked of him, saying, Lord, wilt thou at this time restore again the kingdom to Israel? 7 And he said unto them, It is not for you to know the times or the seasons, which the Father hath put in his own power. I have recently come across many a Bible teachers who use this verse to emphasize the notion that Christians should not be concerned about events leading up to the return of the Lord. However, the Bible clearly informs us that although we may not the exact day of His return per se, that we would not be caught unaware as to when the season of His return may be upon us. It is critical to read God’s Word in context and not take things out of context. Furthermore, when rightfully divided, the Bible explains itself. I Thessalonians 5: 1-9–But of the times and the seasons, brethren, ye have no need that I write unto you. 2 For yourselves know perfectly that the day of the Lord so cometh as a thief in the night. 3 For when they shall say, Peace and safety; then sudden destruction cometh upon them, as travail upon a woman with child; and they shall not escape. 4 But ye, brethren, are not in darkness, that that day should overtake you as a thief. 5 Ye are all the children of light, and the children of the day: we are not of the night, nor of darkness. 6 Therefore let us not sleep, as do others; but let us watch and be sober. 7 For they that sleep sleep in the night; and they that be drunken are drunken in the night. 8 But let us, who are of the day, be sober, putting on the breastplate of faith and love; and for an helmet, the hope of salvation. 9 For God hath not appointed us to wrath, but to obtain salvation by our Lord Jesus Christ. 2 Peter 3:1- —This second epistle, beloved, I now write unto you; in both which I stir up your pure minds by way of remembrance: 2 That ye may be mindful of the words which were spoken before by the holy prophets, and of the commandment of us the apostles of the Lord and Saviour: 3 Knowing this first, that there shall come in the last days scoffers, walking after their own lusts, 4 And saying, Where is the promise of his coming? for since the fathers fell asleep, all things continue as they were from the beginning of the creation. 5 For this they willingly are ignorant of, that by the word of God the heavens were of old, and the earth standing out of the water and in the water: 6 Whereby the world that then was, being overflowed with water, perished: 7 But the heavens and the earth, which are now, by the same word are kept in store, reserved unto fire against the day of judgment and perdition of ungodly men. 8 But, beloved, be not ignorant of this one thing, that one day is with the Lord as a thousand years, and a thousand years as one day. 9 The Lord is not slack concerning his promise, as some men count slackness; but is longsuffering to us-ward, not willing that any should perish, but that all should come to repentance. 10 But the day of the Lord will come as a thief in the night; in the which the heavens shall pass away with a great noise, and the elements shall melt with fervent heat, the earth also and the works that are therein shall be burned up. 11 Seeing then that all these things shall be dissolved, what manner of persons ought ye to be in all holy conversation and godliness, 12 Looking for and hasting unto the coming of the day of God, wherein the heavens being on fire shall be dissolved, and the elements shall melt with fervent heat? 13 Nevertheless we, according to his promise, look for new heavens and a new earth, wherein dwelleth righteousness. Part of growing in the grace and knowledge of our Lord Jesus Christ includes being able to discern the times we are living in. But what kind of Jews were ready for Him to come? Luke 1:26-47–And in the sixth month the angel Gabriel was sent from God unto a city of Galilee, named Nazareth,27 To a virgin espoused to a man whose name was Joseph, of the house of David; and the virgin’s name was Mary. 28 And the angel came in unto her, and said, Hail, thou that art highly favoured, the Lord is with thee: blessed art thou among women. 29 And when she saw him, she was troubled at his saying, and cast in her mind what manner of salutation this should be. 30 And the angel said unto her, Fear not, Mary: for thou hast found favour with God. 31 And, behold, thou shalt conceive in thy womb, and bring forth a son, and shalt call his name Jesus. 32 He shall be great, and shall be called the Son of the Highest: and the Lord God shall give unto him the throne of his father David: 33 And he shall reign over the house of Jacob for ever; and of his kingdom there shall be no end. 34 Then said Mary unto the angel, How shall this be, seeing I know not a man? 35 And the angel answered and said unto her, The Holy Ghost shall come upon thee, and the power of the Highest shall overshadow thee: therefore also that holy thing which shall be born of thee shall be called the Son of God. 36 And, behold, thy cousin Elisabeth, she hath also conceived a son in her old age: and this is the sixth month with her, who was called barren. 37 For with God nothing shall be impossible. 38 And Mary said, Behold the handmaid of the Lord; be it unto me according to thy word. And the angel departed from her. 39 And Mary arose in those days, and went into the hill country with haste, into a city of Juda; 40 And entered into the house of Zacharias, and saluted Elisabeth. 41 And it came to pass, that, when Elisabeth heard the salutation of Mary, the babe leaped in her womb; and Elisabeth was filled with the Holy Ghost: 42 And she spake out with a loud voice, and said, Blessed art thou among women, and blessed is the fruit of thy womb. 43 And whence is this to me, that the mother of my Lord should come to me? 44 For, lo, as soon as the voice of thy salutation sounded in mine ears, the babe leaped in my womb for joy. 45 And blessed is she that believed: for there shall be a performance of those things which were told her from the Lord. 46 And Mary said, My soul doth magnify the Lord, 47 And my spirit hath rejoiced in God my Saviour. The angel Gabriel – whose name means “mighty one of God” – came and told Mary that she was the greatest woman who ever lived. “Blessed are you among women – God Almighty is going to be physically incarnated inside of you.” Her name was not Mary, but Miriam, the same as Moses’ sister. The Hebrew root of “Miriam” is “bitterness”. She did not have blonde hair or blue eyes, but rather dark, Semitic features. She has also never been to Medjugorje, Guadalupe, Fatima, or Lourdes. Her name is Miriam, and she was probably no more than mid-teens in age when Gabriel gave her this momentous announcement. The greatest woman who ever lived called God her Savior, stating that she needed to be saved from her sins. If the greatest woman who ever lived needs a Savior, where does that put me? None is righteous, no not one. (Rom. 3:10) All have sinned and fall short of the glory of God. (Rom. 3:23) The word “Theotokos”, “Mother of God”, is not in the Greek New Testament. She is told that she would be the mother of the Messiah, who would save His people from their sin, and she responds by saying “I rejoice in God my Savior”. God Almighty is going to be incarnated inside of her, and all she can say is that she needs to be saved! If the greatest woman who ever lived states that she needs a Savior, I believe her. I do not believe that she would lie, and even if she did, God certainly would not put that lie in His Word. So, whom should I believe? Mary herself or the lie of the Immaculate Conception which claims that she was conceived without sin? (Acts 17:11—Be a Berean.) What has happened is that you have the pseudo-Christianization of Minerva, Diana of Ephesus, etc., and the application of these to Mary in fulfillment of the prophecies of Ezekiel and Jeremiah. The Madonna with the baby was originally derived from Tammuz-worship, which Ezekiel contended with. Jeremiah warned of the worship of the Queen of Heaven. Miriam said she needed a Savior. God would become a Man, take my sin and put it on His Son, the Messiah, and take His righteousness and put it on me. Why should God become a man to take my place? When I used to hear the phrase “Jesus is my personal Savior”, I did not really understand all of what that meant. I thought it meant that He was my personal Savior because I personally accepted Him; but that is only half of what it means. What “personal Savior” means in its totality is that if I was the only person who ever sinned, He would have had to be born of Mary and gone to that cross and risen from the dead just for me. The religious people did not think they needed a Savior; they had rituals and celebrations. The devil gets more people into hell with religion than he does with all the dope, all the immorality and gambling and alcohol abuse put together. The Gospel is not religion, it is relationship! “I need a Savior”; that is what Mary said. She was a teenage girl who was not concerned with Hannah Montana/ Justin Bieber videos on MTV or with her own personal vanity. Her response was to state her need of a Savior. That is the kind of person who was ready for Him to come the first time. Luke 1:5-6–There was in the days of Herod, the king of Judaea, a certain priest named Zacharias, of the course of Abia: and his wife was of the daughters of Aaron, and her name was Elisabeth. 6 And they were both righteous before God, walking in all the commandments and ordinances of the Lord blameless. Now, remember that the Sanhedrin, the clergy, were corrupt – it was a racket. Yet despite the popular corruption and hypocrisy of the clergy, there were individuals within it who were righteous. As bad as it is, and as bad as it is going to get, there will be people like Zacharias who are righteous, devout, and godly. No matter how corrupt the system and its clergy become, they will not go along with it. There may not be many of them, but they will be there. That is the kind of Jew who was ready for Jesus to come the first time, and that is the kind of Christian who will be ready for Him to come again. Luke 2:25–And, behold, there was a man in Jerusalem, whose name was Simeon; and the same man was just and devout, waiting for the consolation of Israel: and the Holy Ghost was upon him. Under the old Covenant, the Holy Spirit was only for certain people at certain times – high priests, kings, prophets, and certain other individuals. Only they had the Holy Spirit in some sense; not until after Pentecost was He for all who believed. The gifts of the Spirit then operated only in a primordial sense in and through those who had them. This man, Simeon, was filled with the Holy Spirit and had been promised that he would not die until he had seen the Messiah. He was old, his hair and teeth and eyesight were going, but he knew he would not die until Jesus had come. He had what we call in New Testament terms the gift of faith. The New Testament does tell us that we all have a measure of faith. We’re saved by grace through faith, (Eph. 2:8) without faith it is impossible to please God, (Heb. 11:6) and anything not done in faith is sin (Rom. 14:23), Scripture tells us. Separate from this, however, is the gift of faith (1 Cor. 12), which not all of us have. It is the capacity to trust God absolutely for things that are not specifically written in Scripture, which the Holy Spirit has revealed to you. Most people with this gift are intercessors. Hebrew and Greek both make a distinction between prayer and intercession. People who have this gift can truly intercede in prayer, believing and knowing – not wishfully thinking, or trusting in the futility of their own minds – but holding on to a promise they know by faith that God has truly given them. Not only was there a little old man, there was also a little old lady. Luke 2:36-38–And there was one Anna, a prophetess, the daughter of Phanuel, of the tribe of Aser: she was of a great age, and had lived with an husband seven years from her virginity; 37 And she was a widow of about fourscore and four years, which departed not from the temple, but served God with fastings and prayers night and day. 38 And she coming in that instant gave thanks likewise unto the Lord, and spake of him to all them that looked for redemption in Jerusalem. For years and years and years all this little old lady did was pray, fast, and serve God in His house. Then she just couldn’t stop telling people about Jesus – all those who were looking for the redemption of Israel. Here was this little old lady, whose whole life was spent in prayer and service to God, and finally in telling people about Jesus. That was the kind of Jew who was ready for Jesus to come the first time; and that is exactly the kind of Christian who will be ready for Him to return. Before we look at what kinds of Jews were ready for Jesus to come the first time, let’s look at Jews who were not ready. When we see what kinds of Jews were not ready, we will know what kinds of Christians may not be ready. A is to B as B is to C.
Matthew 2:1-6–Now when Jesus was born in Bethlehem of Judaea in the days of Herod the king, behold, there came wise men from the east to Jerusalem, 2 Saying, Where is he that is born King of the Jews? 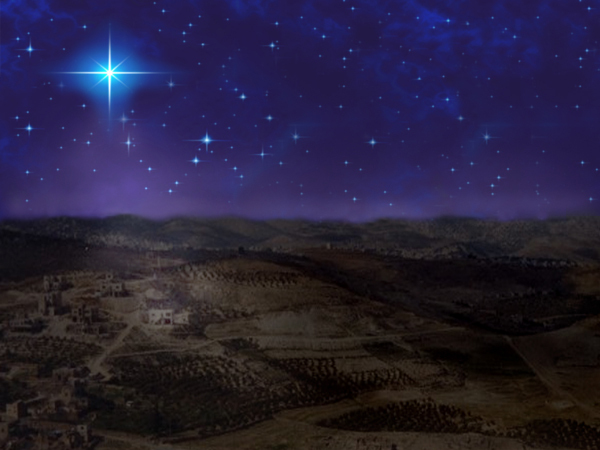 for we have seen his star in the east, and are come to worship him. 3 When Herod the king had heard these things, he was troubled, and all Jerusalem with him. 4 And when he had gathered all the chief priests and scribes of the people together, he demanded of them where Christ should be born. 5 And they said unto him, In Bethlehem of Judaea: for thus it is written by the prophet, 6 And thou Bethlehem, in the land of Juda, art not the least among the princes of Juda: for out of thee shall come a Governor, that shall rule my people Israel. What we see here is that some of the people who were ready for Jesus to come the first time were people whom one would not have expected to be ready. These Magi, or wise men, were from Persia. You see, those wise men understood how to interpret the signs of the time. Sadly, there are born-again Christians who cannot see the significance of contemporary events in the Middle East. They are blind to it, as if the book of Revelation or the book of Zechariah were not in the Bible. They are oblivious to what is happening in the world – they don’t quite understand any of these other signs, as wise men do. No matter what happens in this world, our eyes should always be fixated on Jesus Christ, and ultimately on His Word. Daniel 12:8-10–And I heard, but I understood not: then said I, O my Lord, what shall be the end of these things? 9 And he said, Go thy way, Daniel: for the words are closed up and sealed till the time of the end. 10 Many shall be purified, and made white, and tried; but the wicked shall do wickedly: and none of the wicked shall understand; but the wise shall understand. So the wise men, or the Magi came to see the Messiah, non-Jews, people you would not have expected, because they saw the Star in the East. Here we see that they come to Jerusalem, where Herod heard them and was troubled – and all Jerusalem with him. This was the city where David said that the Messiah would come. This was where the Temple was; the focus of their identity and their Messianic hope, yet almost nobody who lived there wanted Him to come. You will find many churches with the same attitude; drive up the road, look at the churches you pass, and ask yourself how many of them really are anticipating the Return of the Lord? All Jerusalem was troubled; oh, they had the rituals, the liturgies, the festivities and the holidays, but when it looked like He was showing up, they were all troubled. Ironically, the most troubled were the national and religious leaders. Now think about this for a minute. 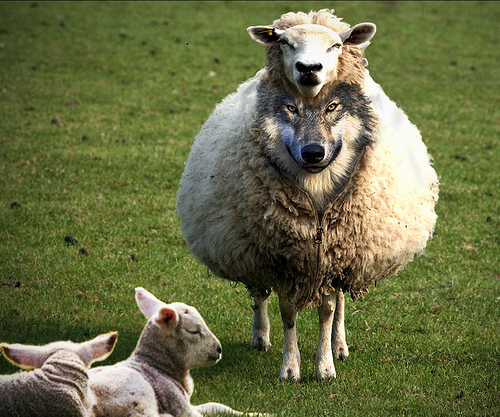 It gets even more frightening, however – these guys knew the Scriptures!. Herod wanted to know where the Messiah would be born, and they told him what Micah 5:2 said, that He would be born in Bethlehem. They had head knowledge of the Scriptures, but not heart knowledge. (Speak to the heart vs. Speak to the mind. )When He showed up, it was the last thing in the world that they either expected or wanted. Do you think it will be any different when He returns? Issachar – The meaning of this name is “he will bring a reward, man for hire” (Strong’s Heb3485 and Holman Bible Dictionary). Times – fortunes, occurrences (Thayer’s Lexicon Heb6256). Fortunes means success, prosperity, estates, possessions, wealth (Webster’s Dictionary). Occurrence means an event, an incident, happenings, circumstance. By virtue of the name Issachar, we see that those who walk in the character and calling of Issachar bring a sure reward to the Lord as well as a reward to the vineyard in which they are working or are a part of. Matthew 24:42-51—Watch therefore: for ye know not what hour your Lord doth come. 43 But know this, that if the goodman of the house had known in what watch the thief would come, he would have watched, and would not have suffered his house to be broken up. 44 Therefore be ye also ready: for in such an hour as ye think not the Son of man cometh. 45 Who then is a faithful and wise servant, whom his lord hath made ruler over his household, to give them meat in due season? 46 Blessed is that servant, whom his lord when he cometh shall find so doing. 47 Verily I say unto you, That he shall make him ruler over all his goods. 48 But and if that evil servant shall say in his heart, My lord delayeth his coming; 49 And shall begin to smite his fellowservants, and to eat and drink with the drunken; 50 The lord of that servant shall come in a day when he looketh not for him, and in an hour that he is not aware of, 51 And shall cut him asunder, and appoint him his portion with the hypocrites: there shall be weeping and gnashing of teeth. Their mind is cunning, able to mentally distinguish between that which is wise and unwise. They diligently pursue the understanding needed to live well before the Lord. Issachar men and women receive understanding from the Lord Himself, because they know God in an intimate manner. Because they are wise and prudent, Issachars are able to perceive and seize opportune times of success and wealth. They are able to provide meat in due season. Issachar was dead to himself and alive only to his God. When we move into a place of being dead to self and alive to God, we move into understanding the times because those times are IN God. Matthew 16:3–And in the morning, It will be foul weather to day: for the sky is red and lowering. O ye hypocrites, ye can discern the face of the sky; but can ye not discern the signs of the times? When Christ rebuked the Pharisees and Sadducees it was because they were not abiding in the Lord, but they were operating in the midst of unrighteous governmental and religious systems. They did not “yada” –(Know) God, and therefore were without understanding and lacked the ability to discern the signs of the time. Matthew 7:21-23–Not every one that saith unto me, Lord, Lord, shall enter into the kingdom of heaven; but he that doeth the will of my Father which is in heaven. 22 Many will say to me in that day, Lord, Lord, have we not prophesied in thy name? and in thy name have cast out devils? and in thy name done many wonderful works? 23 And then will I profess unto them, I never knew you: depart from me, ye that work iniquity. Ecclesiastes 3:1 says: “To every thing there is a season, and a time to every purpose under the heaven.” How are we to know what those seasons are apart from knowing God? Jesus said I do what I see My Father in heaven doing. John 5:19: Then answered Jesus and said unto them, Verily, verily, I say unto you, The Son can do nothing of himself, but what he seeth the Father do: for what things soever he doeth, these also doeth the Son likewise. Issachar possessed tremendous fervor, a passion and drive for His God which caused him to glow with redness, just as it was said about John the Baptist: “He was a burning and a shining light” (John 5:35). The word for “Christmas” in Hebrew is “Hag Ha nolod” – literally “The Festival of the Birth”. Ecclesisiastes 1:9-10 The thing that hath been, it is that which shall be; and that which is done is that which shall be done: and there is no new thing under the sun. Is there any thing whereof it may be said, See, this is new? it hath been already of old time, which was before us. Ecclesisistes 3:15 That which hath been is now; and that which is to be hath already been; and God requireth that which is past. What does Christmas, the Nativity, have to do with the Last Days? This may surprise you, but the answer is everything. A thorough study of the Scriptures will reveal that we may never understand the Second Coming of Christ until we understand His First Coming. What happened in His First Coming is recapitulated in His Second Coming. When Jesus was born, the Roman emperor was Caesar Augustus – formerly Octavius. Caesar Augustus was the first Roman emperor to be deified in his lifetime. Thus, there was a Roman emperor presiding over the Roman Empire and being worshiped as a god when Jesus arrived the first time. This emperor took a census, ascribing numbers to people – not actually putting numbers on them, but ascribing one to every person in the known world. There were actually two censuses taken by Augustus, both for this purpose: that he might gain financial control of the world. When Jesus comes back, the same thing will happen: we will have a resurrected Roman Empire headed by someone who is virtually deified. Jesus’ First Coming teaches about His Second. Christmas is neither here nor there; the Nativity, however, is very important. If we do not understand how He came the first time, we will not understand His return. There are differences, of course, but one is a picture of the other. As I have prayerfully studied the Scriptures over the last 14 years or so, I have asked myself this question: How could it be, with 2,000 years of history preparing for the Messiah to come, being in a covenant relationship with God and having the Scripture, that so few Jews were ready for Jesus to come the first time? Paul tells us that the devil blinded their eyes. (Rom. 11:25) There were 2,000 years of preparation for Jesus to come, Israel had a covenantal relationship with God, and they had the Scriptures. Yet in spite of all this, only a remnant was ready for Him to come. The same thing will be true when He comes back, only it will not only be Israel, but also the so-called church. What kinds of Christians are going to be ready for Jesus to come again in the Last Days? If you want to know the answer to this, look at the kinds of Jews who were ready for Him to come the first time. If you want to know what kinds of Christians are not going to be ready for Him to come back, take a good look at the kinds of Jews that were not ready for Him to come the first time. Welcome to the Bible Prophecy for Today website! Stay tuned for updates on this site with cutting edge commentary and relevant Biblical teaching to empower you to be better equipped to understand the times we are living in from a Biblical perspective.